Our translators are not only talented professionals in the art of transforming textual expressions of ideas into other languages; they are also specialists in their fields. The majority of projects we complete are technical in nature. Lingua's system ensures that the translator assigned to your project is experienced with the subject matter, whether it be chemical, technical, legal, or any other area. Translations that adhere strictly to the content, intent, and style of the source of the language. Same-day turnaround time in quotes. 24 hour turnaround time for rush jobs. No additional charge for project management. Prompt - We understand that many translation needs are driven by tight deadlines, and we strive to meet those urgent deadlines. Accurate - We exceed industry standards to provide accurate translation of your documents. Confidential - We understand that your documentation may be confidential, and we maintain strict standards to ensure that it stays that way. Cost-Efficient - Each translation project is quoted individually, based on your specific requirements, before we proceed. We strive to keep costs 25% to 40% below current market rates. 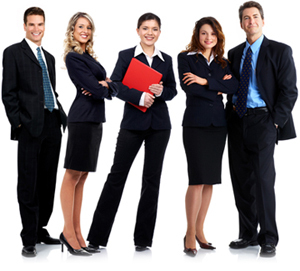 The expertise of highly-skilled, native-speaker subject specialists. Strict attention to nuances of the targeted country or market. Formatting modeled on your original document. You can be sure that your translated document adheres to the literal meaning of the original, and to the expressions of thought and intent. chemical, technical, legal, or any other area. Copyright © 2010 Lingua International. All rights reserved.